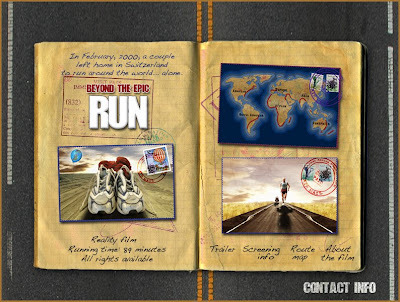 This public screening of "Beyond the Epic Run" takes place at George Washington University's Jack Morton Theater on Sunday, March 8 at 5 pm. Admission is free. The theater is located at 805 21st Street NW in Washington, DC. For directions/more information, call 202-994-7736. Also, I didn't see any group runs scheduled for tomorrow. I'm going to run from The Line at 9 if anyone's interested. CONTEXT: I'll be doing 12, probably around 7-7:30 pace. It goes without saying (or does it?) that people could vary the pace/distance. Thanks to everyone who came out for this! A special thanks to AC: Next time we make public speaking engagements we should ask to be paid. You should have at least demanded one of the raffle prizes. My beltless heart rate monitor is pretty sweet.